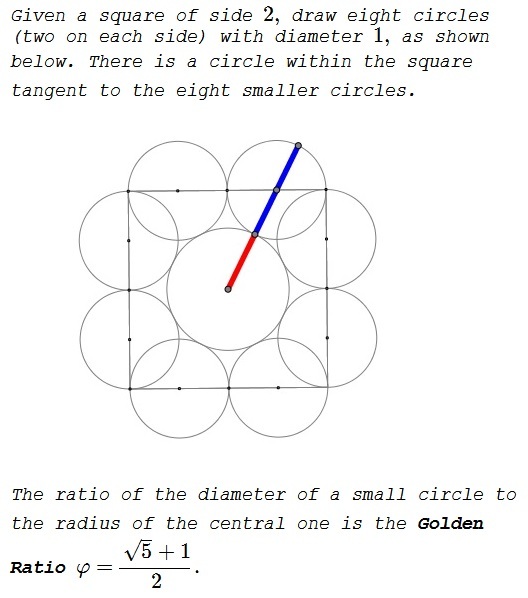 The Golden Ratio pops up in a modification of problem 22 from the 2014 American Mathematical Competition. 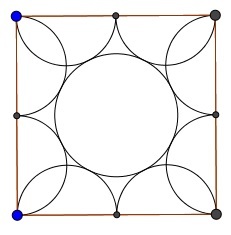 What is the radius of the circle tangent to all of these semicircles? 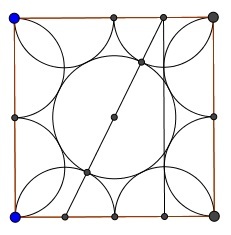 This leads to the Golden Ratio, as above.